Item # 309810 Stash Points: 995 (?) This is the number of points you get in The Zumiez Stash for purchasing this item. Stash points are redeemable for exclusive rewards only available to Zumiez Stash members. To redeem your points check out the rewards catalog on thestash.zumiez.com. Outfit your backpack, hat or vest in truly iconic style, with the Obey Eyes Enamel Pin. Coming in a durable enamel construction, this pin is complete with Obey's classic "Eyes" logo for a classically striking appearance. 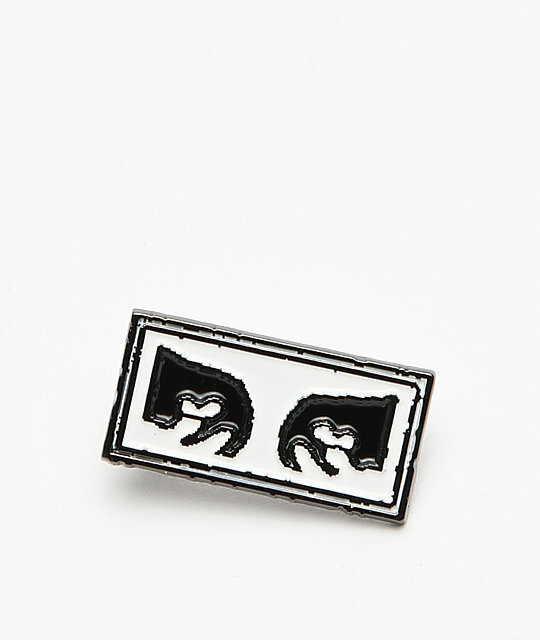 Eyes Enamel Pin from Obey.